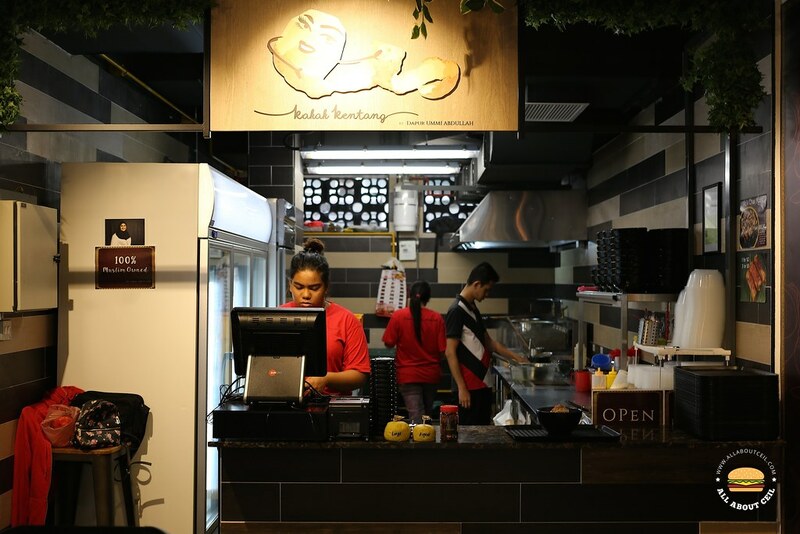 Started by the Dapur Ummi Abdullah Dining Group headed by Chef Ummi in November 2017, this stall at FOMO, serving jumbo fried mashed potato balls. This is the most popular stall in this latest hipster food court at Sultan Gate, in the heart of Kampung Glam. There are 2 choices, Bombistik and Chikabom, the regular-sized at $6.90 and the large-sized at $9.90. 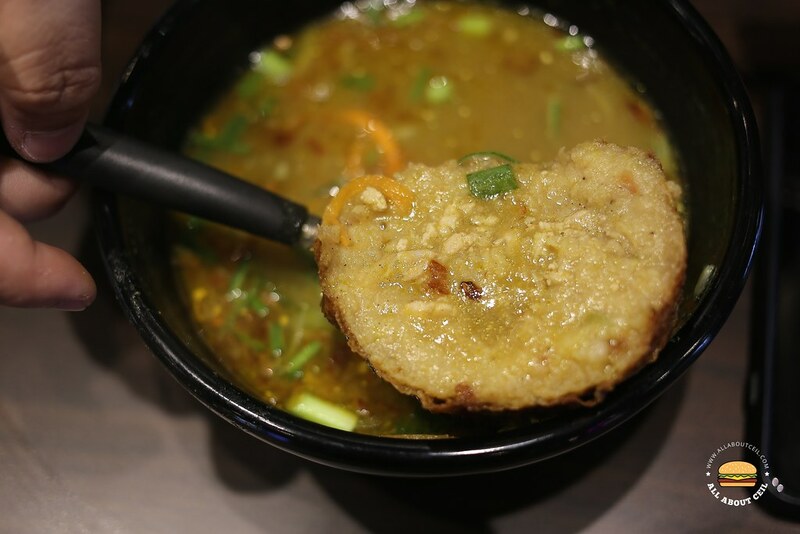 The Bombistik is stuffed with minced beef in tomato bistik gravy and Chikabom is filled with minced chicken, served with chicken soup soto gravy. They are also serving snacks like Abang Popiah for $2 and if you get 3, it will be only for $5, there is also Adik Char Kuay for $5.90. When ordering, I asked, pointing at the pictures of Bombistik and Chikabom just beside the counter, "Which one would you recommend?" The lady at the counter, replied, "Both are nice." I then decided to go with Chikabom but could not quite make up my mind whether to go for the regular-sized or the large-sized. There was another customer collecting her order. I pointed to her bowls and asked, "This is regular-sized or large-sized? ", the same lady replied, "That's regular.". And, I said, "Regular-sized for me then, the large one is a bit too much." I was told to just wait at the counter as I was the only customer at that time as they were already in the midst of preparing the order. 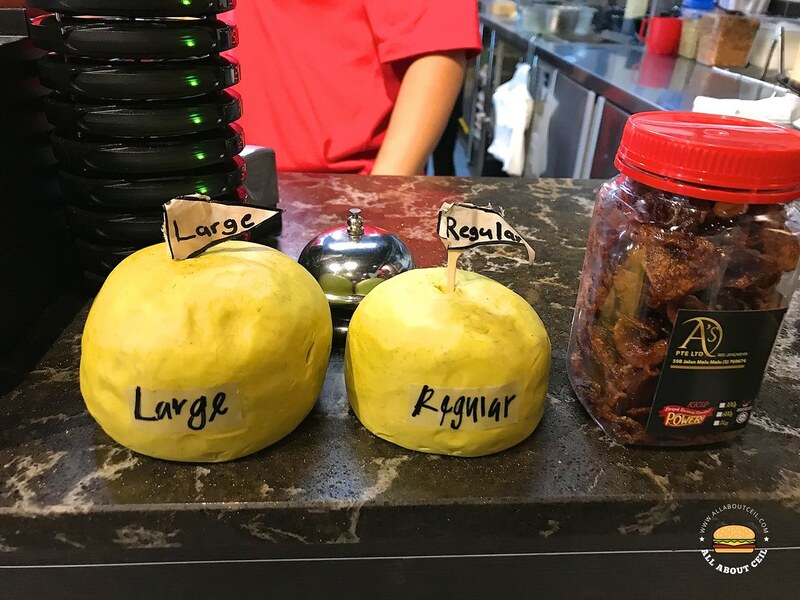 While waiting, I took notice of the sample on display to show the actual size of the potato balls. My order was ready in few minutes. 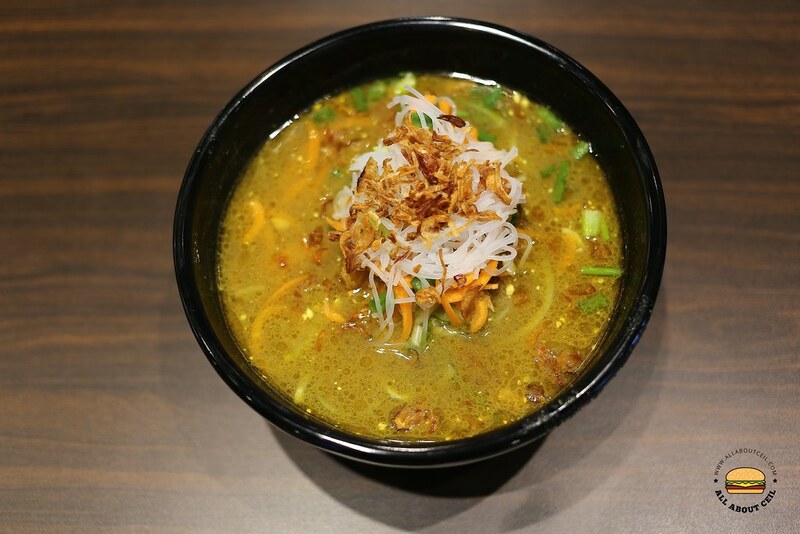 Chikabom is actually the upgraded version of bergedil, a Malay-style fried potato patty, in a bigger size and served in chicken soup soto gravy topped with shredded carrot and radish with dried shallots. The fried potato ball turned soggy rather quickly after soaked in the gravy for a while. 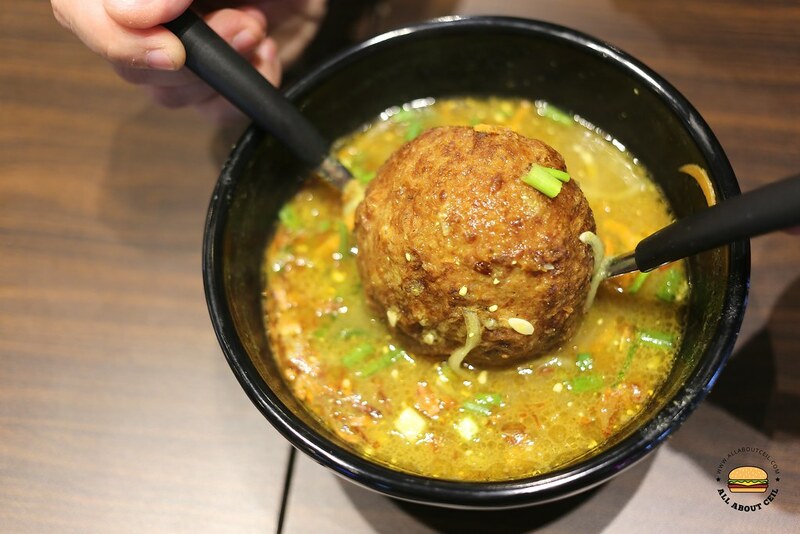 It tasted just like the usual bergedil, that is available at those Malay stalls, to go with Mee Siam or Mee Rebus, or as part of the selection for Nasi Padang, at a smaller size and cheaper in price.